© Agnes Martin. Photograph by R. H. Hensleigh. 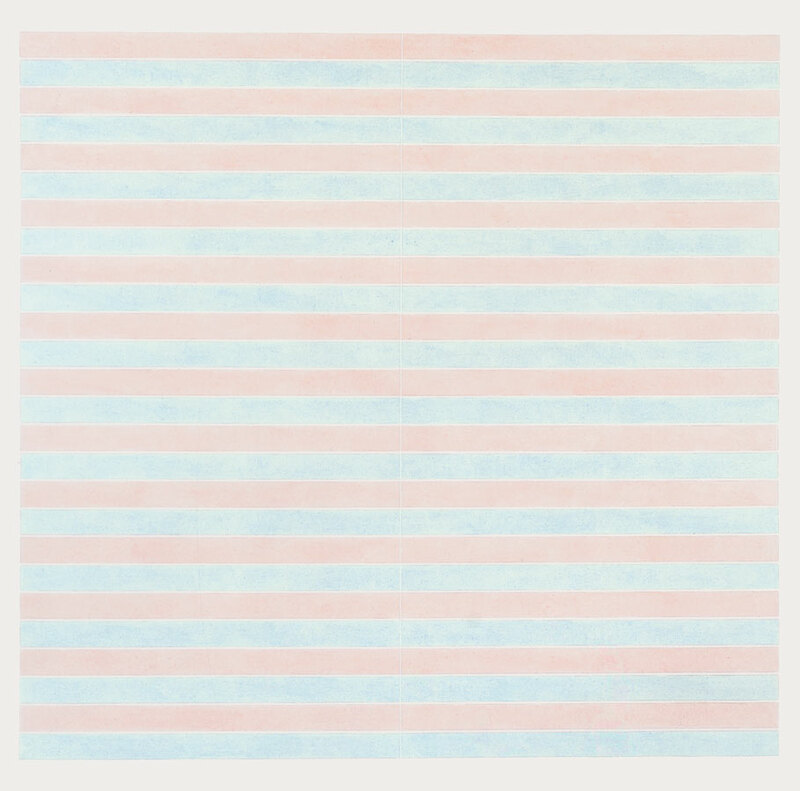 An Agnes Martin painting opens the door to stilled perception. In Untitled (1974), the square format denies primacy of direction. Attention is caught by the subliminal sense of a wavering grid underlying the delicate yet radiant blue and red horizontal banding. Here is “a world without objects, without interruption” (Martin, 1966). No point captures the eye’s focus for long. The gaze lingers within a sense of beauty and calm and moves beyond the world of time. Raised in western Canada, Martin studied and taught across the United States and moved to Manhattan in 1957. Early still-lifes and portraits yielded to biomorphic abstraction on the path to the spare elegance of her mature works. Critics linked these to Minimalism, though its central vision was more austere. Martin’s visual journey deepened after she relocated to New Mexico in 1968. “I hope I have made it clear that the works are about perfection as we are aware of it in our minds,” she wrote in 1972.